Keynote on: How ICT Enables Precision Health? Biography: Evgueni Loukipoudis is the CTO of Canada’s Digital Technology Supercluster, a not-for-profit public-private partnership that invests in highly innovative and transformative digital technologies. In a career spanning more than 30 years (over 20 of which in Healthcare IT), Evgueni has held increasingly progressive technical and leadership roles in large multinational corporations. Before joining the Supercluster he was the CTO of McKesson Medical Imaging and then Change Healthcare and prior to this, as a senior leader in Agfa Healthcare he co-led the digital transformation of that corporation. He has also been part of technology startups, participated in open industry-wide initiatives, authored several patents and held academic and research positions, all in diverse international and multicultural environments across three continents. Evgueni holds MSc and PhD in Mathematics/Computer Science from the University of Sofia. His interests are in the areas of medical imaging, digital health, precision health and genomics, clinical decision support, deep learning and digital twinning. Biography: Ivan Dimov received his PhD degree in mathematical modelling (Moscow, 1980) and DSc (Moscow, 1984). He has an outstanding contribution to the field of Monte Carlo methods and sensitivity analysis. 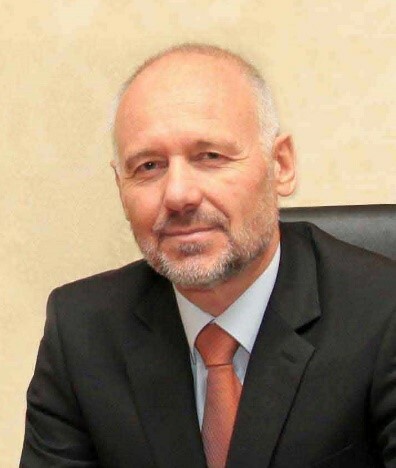 Prof. Dimov was Director of the Institute for Parallel Processing, BAS from 1996 to 2004 and Head of the Bulgarian Information Society Centre of Excellence for Education, Science and Technology in 21 Century (BIS-21) from 2000 to 2005. Prof. Dimov has published more than 150 scientific papers and three monographs published by Elsevier, World Scientific and De Gruyter. I. Dimov collaborated with 39 co-authors with Ph.D. and a number of their graduate students from 9 countries. 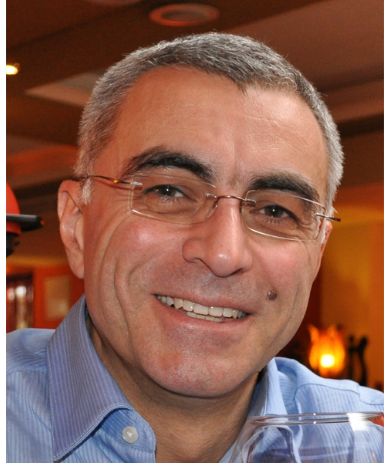 Prof. Dimov supervised 8 completed PhD and 11 master theses, and published over 80 joint articles with supervised students. His main Research achievement are in the area of High-performance methods and algorithms for scientific computations; Monte Carlo solution of partial differential equation, a priori estimates and error analysis; Statistical numerical methods with supper convergent probability error; Parallel algorithms and GRIDs., others. He has been coordinator of many EU (5th, 6th, 7th FP and Horizon 2020) and nationally funded research projects in Computational Mathematics and Mathematical Modelling and Information Technologies. Biography: Avram Eskenazi received his PhD degree in Computer science (“Computer assisted test generation”) in 1978 (University of Sofia). 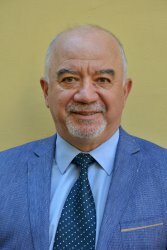 Since 1985 he has been the founder and until 2013 - the head of the Software engineering department at the Institute of Mathematics and Informatics, Bulgarian Academy of Sciences (BAS). His main interests and contributions are in the field of software quality, agile technologies, computer assisted education. He has published more than 80 research papers in Bulgaria, USA, Russia, Spain, Germany, etc. 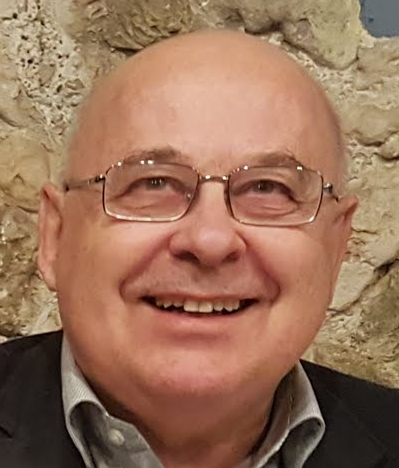 Presently he is the Chairman of the Advisory Council on Information Resources Management to the President of BAS, a senior member of ACM (2009), until recently – the Bulgarian representative to IFIP TC2 on Software - Theory and Practice. He is also a visiting professor at the University of Economics in Varna where he delivers lectures in Software engineering and Software business. He has participated in a large number of international and national research projects as a manager, coordinator or staff-member. Biography: Grisha Spasov received his PhD degree in Computer systems and technologies (“Wireless LAN based on diffuse infrared communication channel”) in 2003 (Technical University Sofia). From 2007 untill 2015 he was Head of Department Computer Systems and Technologies in the Faculty of Electronics and Automation at Technical University Sofia - Plovdiv Branch. Since 2015, he is Dean of the Faculty of Electronics and Automation. His main research interests and contributions are in the field of computer networks, Distributed systems and computer communications, Embedded system, Internet of things and Medical information systems. He has published 53 journal articles and more than 80 conference papers, 3 textbooks and 2 methodological manuals. He has participated in a number of international and national research projects as project manager, coordinator or team leader, as for example: “Web Services and Data Integration in Distributed Automation and Information Systems in Internet Environment”, "Internet based distributed embedded system for real-time monitoring", "Modern approaches in the design of clinical information system (CIS) for observation of pediatric surgery diseases", “Investigation of methods and tools for application of cloud technologies in the measurement and control in the power system”. He is a member of IEEE – CS (since 2005) and Bulgarian Society of automatics and informatics. Biography: Dr. Todor Tagarev is an experienced security and defence policy maker, who has held several senior governmental positions. With a background in cybernetics and control, he is currently professor in the Institute of Information and Communication Technologies of the Bulgarian Academy of Sciences and leads its Centre for Security and Defence Management. 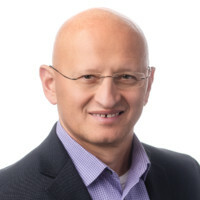 Dr. George Sharkov is CEO of the European Software Institute (Eastern Europe) and Head of the Cyber Security and Resilience Lab at Sofia Tech Park. He served as National Cybersecurity Coordinator of Bulgaria (2014-2017) and is presently advising the minister of defence on cyber security and defence issues. George lectures on software process and design quality, cyber security and resilience, active cyber security. Session 3. Application Aspects of Computer Systems and Technologies. Biography: Todor Stoilov received his scientific degrees on Cybernetics in Bulgarian Academy of Sciences as PhD(1979) and DSc (1998). He has theoretical achievements and scientific results in the domain of Hierarchical systems’ theory. The formal background of this theory founds on the development and application of optimization models applied in different practical areas: transportation systems, communication flows, automation in business and information systems, resource allocation. 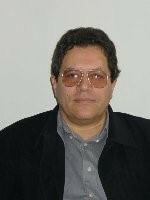 He is associate professor (1989) and full professor (2000) in Bulgarian Academy of Sciences. Due to his technological and engineering background he was very active in the research and technological programs, supported by the European Commission. He was the Bulgarian leader of successful funded projects by the EU in the Framework programs 4,5,6,7, COST projects; National projects funded by the National Scientific Fund, Executive Agency for Support of Medium and Small enterprises, Ministry of Transportation, business units and regional communities. Methods of hierarchical system theory w used in applications for automatic control in computer and software systems (under the term „autonomic computing”), for autonomous transportation systems, for integration of information services in virtual systems. He is author and coauthor of more than 300 papers, 6 monographs (two published by international editions Kluwer and Intech), 7 chapters in academic books abroad. For two election period he has been a Chair of IFAC(International Federation of Automatic Control) Technical Committee 7.4:Control of Transportation System, position which has not been allocated to a Bulgarian scientist till now. He has activities in many Universities by giving lectures for master and bachelor degrees in important and complex academic domains. Session 4. Educational Aspects of Computer Systems and Technologies (ICT-based innovative educational technologies). Biography: Roumiana Peytcheva-Forsyth is a full professor in Educational technology at Faculty of Education, Sofia University “St. Kliment Ohridski”. She is a Director of Sofia university Distance education centre as well as a Director of the National distance education centre. She is a leader of the first distance education master degree programme at Sofia University - “ICT in education”. Prof. Peytcheva-Forsyth is a member of ASEM Education and Research Hub for Lifelong Learning - Research Network 1 "Development of ICT skills, e-learning and the culture of e-learning in Lifelong Learning (e-ASEM). 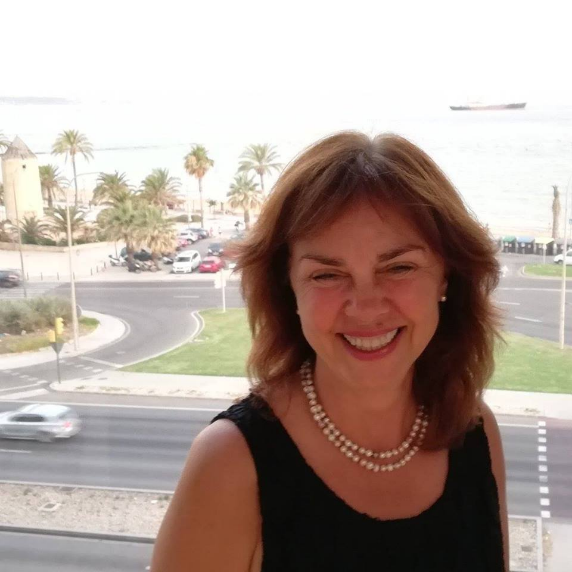 Over the last 3 years she is a member of the Management committee of the EU Horison 2020 project TeSLA - An Adaptive trust-based e-assessment System for Learning. She is also a Work package leader and Pilot manager responsible for planning and execution of large scale pilots of the authentication and authorship checking system TeSLA involving over 23 000 students in Europe from 7 leading in distance education and campus based universities. Her research interests are focused of ICT-supported learning, pedagogical aspects of online learning design, e-assessment, academic integrity. Abstract: Information Technology (IT) has already transformed a significant part of Healthcare and Life Sciences. Most visible in the transformation of diagnostic medical imaging from pure analog to completely digital, IT has also pushed into prime-time hospital information systems, electronic patient records, clinical decision support, implantable smart devices, medication dispensers, robotic-guided surgery and bioinformatics to name a few. We will cover the current trends in the so-called “digital health”, its challenges and opportunities especially when it comes to applying Artificial Intelligence (AI) and dealing with health data – data exchange, semantics, ontologies, standards, privacy and computer-aided diagnostics. Then we will discuss how in a similar way IT has enabled advances in bioinformatics, genomics, pharmacogenetics, etc. which in turn has lead to establishing a new type of connection between clinical research and clinical practice. Most importantly, we will discuss the newly emerged “precision health” in its broader definition of applying highly personalized approach to diagnostics and treatment including tailored therapies specific to a person’s genetic profile. We conclude with some speculations on how emerging trends like patient-specific instrumentation, digital twinning and digital labour might change healthcare delivery in the future. Extensive numerical experiments with Monte Carlo, quasi-Monte Carlo (QMC) and scrambled quasi-Monte Carlo algorithms based on Sobol sequences are performed to support the theoretical studies and to analyse the applicability of the algorithms to various classes of problems. Numerical tests illustrating main conclusions are run on massively parallel supercomputers. Some exciting results will be presented. Practical results showing stable and consistent nano-structure solutions for quantum computer devises are proposed and analysed. Abstract: Based on recent publications, the speaker will demonstrate the sustained trend in labor market polarization as a result of the turbulent development of Information Technologies (IT) and, more recently, of Artificial Intelligence (AI). There are two hypotheses already outlined about the future development of this polarization - a trend of attenuation and a trend of retention in the foreseeable future. The lecturer will launch and justify a third option - a gradual transition to a unipolar model. As a side effect a number of professions will gradually disappear, only to be replaced by new ones emerging. Abstract: The modern digitized society, economy and government increasingly depend on advanced sensor, information and control technologies. Communications and IT infrastructures become the backbone for the functioning of mass transport, energy generation and distribution systems, public administration, banking, water and food management, heavy industries and even for tracking the medical condition of certain groups of people. While boosting effectiveness and efficiency, the massive incorporation of technological solutions introduces vulnerabilities, often exploited with malicious intent. The provision of safety, security and resilience of the evolving systems of systems poses a number of regulatory, procedural, technological and competence challenges. This report examines the features of distributed systems for cybersecurity and, on that basis, elaborates general tasks in designing and operating such systems that are computationally demanding. These are: detection of cyberattacks and hybrid malicious activities; situational awareness, requiring fusion of information from diverse and disparate sources, visualization, and sense-making; decision-making, i.e. foreseeing possible evolution, devising and comparing potential courses of action, in particular with application of artificial intelligence; and cyber forensics, intelligence and attribution. In terms of technology – new methods like big-data analysis, high performance computing, AI and machine learning are not only providing new generation tools but influence significantly the design of such complex systems-of-systems with emerging complex behavior. Particularly demanding in terms of computational power is finding the balance between effectiveness and resilience of distributed systems of systems (connectivity, interoperability, info sharing, etc.) and the provision of agility and adaptation to the changing security and technological environment, including the challenges of detecting and reacting to the “unknown”. Abstract: Information technology implements its outcomes in development information services, which are available in virtual environments. As information services a lot of business entities operate offering e-shop facilities, virtually offering of business information, galleries, many others information services based on distribution of on-line important data. The increase of usage of information services insists the functionalities, offering by the information systems to provide complex treatment of the data. Thus additional and new business relations are identified and can be taken in consideration in managing and decision making in complex systems. Optimal treatment of data is a keystone for increase system functionalities in supporting the decision management. The presentation illustrates how to provide optimization functionalities in virtual information system. The software suits in such systems are outlined. An example, related to information service dealing with optimization of portfolio investments is given. Abstract: There are different perspectives for analysing the effectiveness of ICT-based technologies in education - technological, psychological, socio-psychological, methodological, pedagogical. It is the latter that seeks, defines and studies the intersection between other perspectives, which characterises the way in which specific technologies are integrated in a particular educational context. The pedagogical perspective reveals and defines the indicators for the successful integration of a certain innovative ICT-based technology in order specific educational objectives to be achieved with a specific group of learners on a particular topic. In other words, the pedagogical perspective refers to the “contextualised effectiveness” of the innovative educational technologies. The context itself defines how innovative is a particular technology or the way it is used. The presenter will discusses the pedagogical perspective in seeking the effective use of innovative ICT-based technologies in education. She will present an example of an integrated student authentication and authorship checking system in e-assessment as a demonstration of the reliability of the pedagogical perspective in exploring the effective use of technology in education.